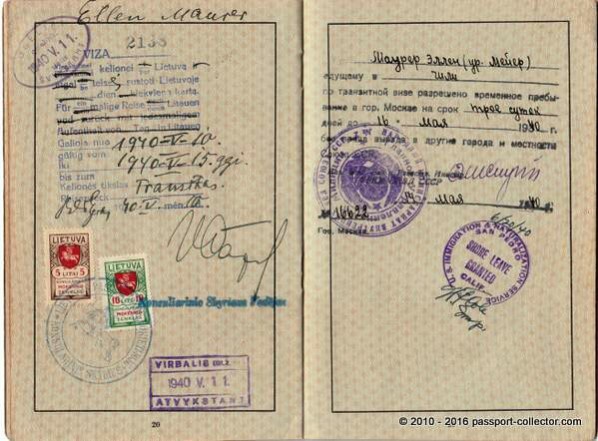 The occupation in the passport says “Konsulswitwe” (widow of a consul). I couldn’t find any data during my research who this consul was. 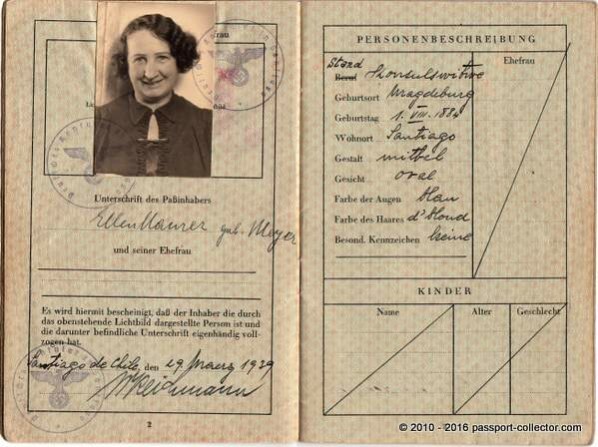 But what is even more interesting is that she was Jewish as you can identify on the big red J-stamp. Surely a delicate matter as government official and diplomat in Nazi Germany! 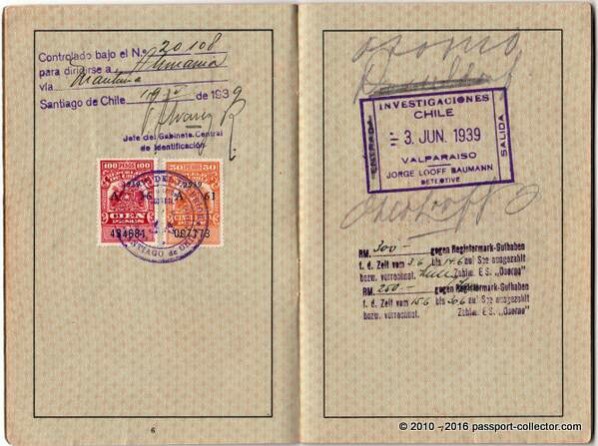 Her travel document was issued in abroad at the German Consulate in Santiago (de Chile). 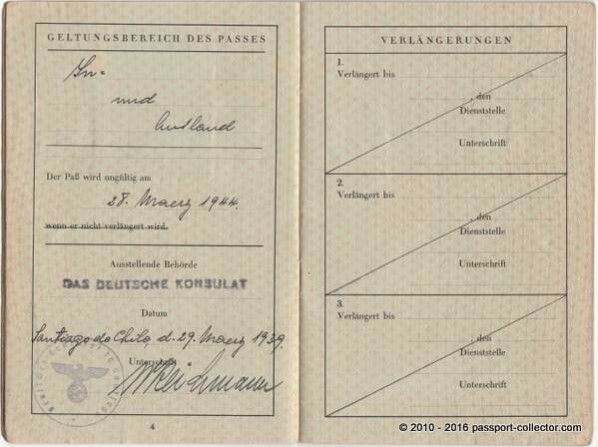 Very interesting stamps and visas showing her return to Germany via Bremerhaven (harbor) to Munich. Six pages of currency exchange entries are showing she lived in Munich for a while (not displayed). 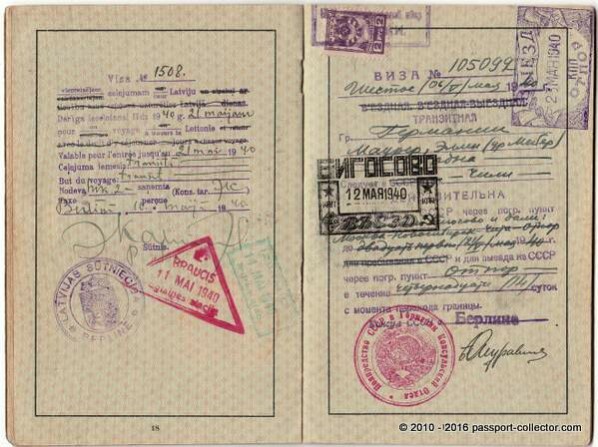 Then there are the Chilean visas with revenues, Japanese and Mandschukuo visas, Latvia, Russia and finally USA – her safe harbor. 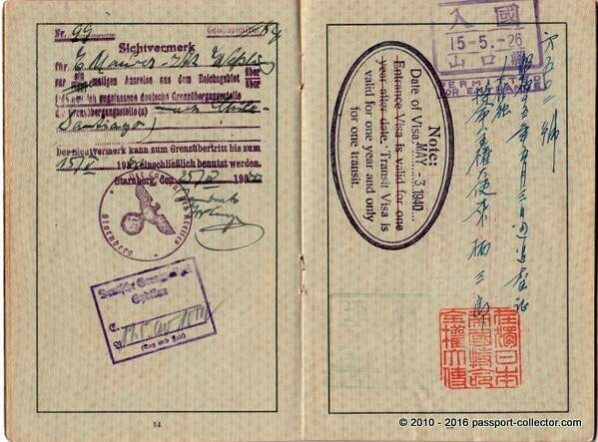 The US visa was issued in Yokohama by vice consul Goetzmann who experienced later the Japanese attack on Perl Harbor. 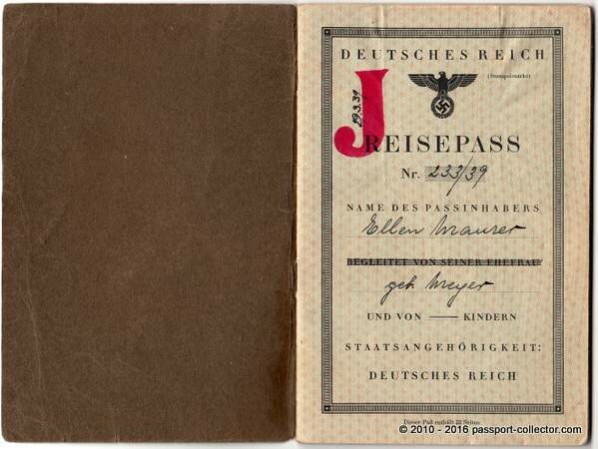 A very unusual travel document! Goetzmann, Jule Lawrence (1912-1956) — of Moline, Rock Island County, Ill.; Washington, D.C. Born in St. Paul, Ramsey County, Minn., December 12, 1912. 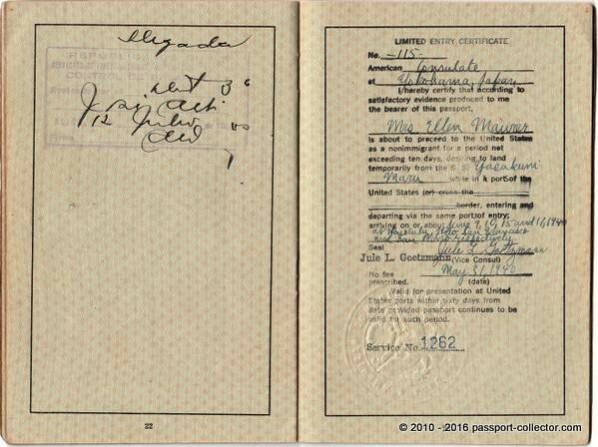 Foreign Service officer; economist; U.S. Vice Consul in Havana, 1937-39; Yokohama, 1939-41; Bilbao, 1942-46. Member, American Economic Association. Died July 23, 1956 (age 43 years, 224 days). Burial location unknown. Nice one! 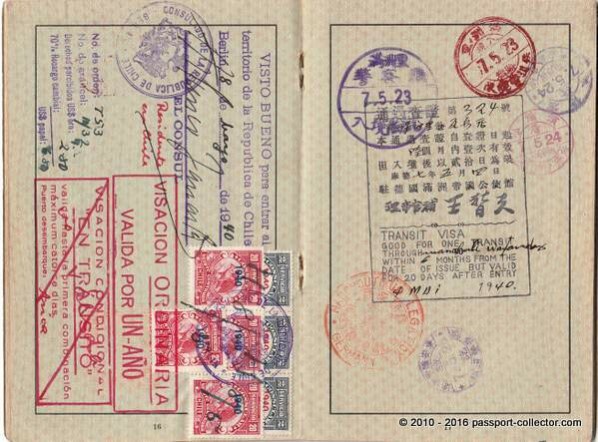 Unbelievable travel document….so many rare Visa stamps!